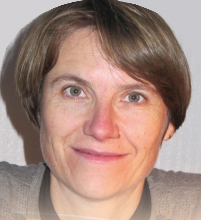 Prof. Catherine Picart, head of the IMBM group/LMGP is one the five new members of the Editorial Advisory Board of the Advanced Healthcare Materials journal, together with Prof. Chunhai Fan, Prof. Ali Khademhosseini, Prof. André Nel, and Prof. Nicholas Peppas. Advanced Healthcare Materials is an international, interdisciplinary forum for peer-reviewed papers on materials science aimed at promoting human health. Advanced Healthcare Materials was published as a special focus section integrated in Advanced Materials in 2011 and launched as a journal at the start of 2012.